On 3 hours chart, I can see C wave now is about the length of A within .2 wave. 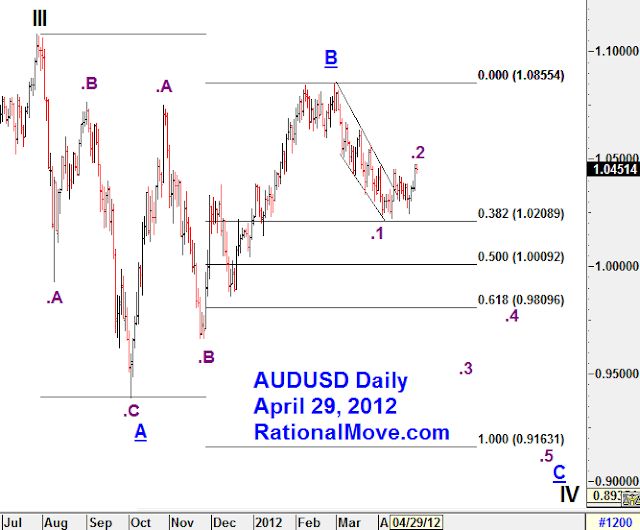 .2 may be ending soon if my view that AUDUSD is still in IV wave is correct. 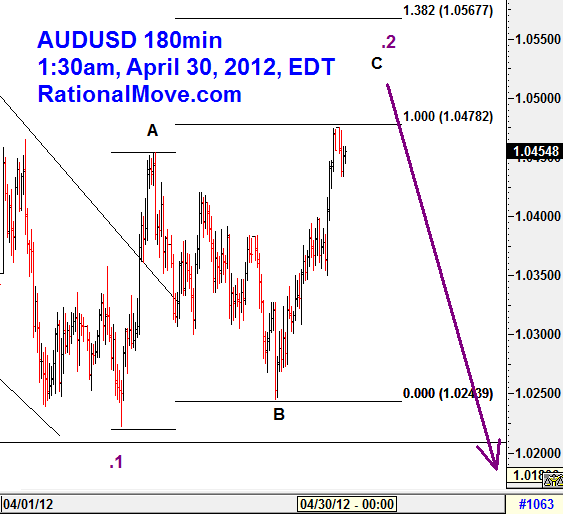 I will sell AUDUSD if 1.0222 breaks down.